Savthekayi is one common vegetable used in South India. This is little different than normal cucumbers. Savthekayi or vellarikka has thin uneven yellow stripes all over. This curry is easy to prepare and tastes wonderful. 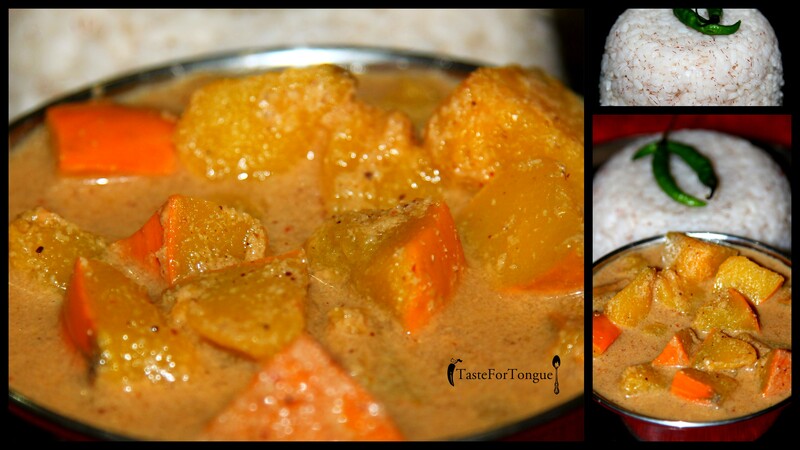 Today I am going to share my mom’s recipe of savthekayi curry. Cook black eyed beans with little salt, drain and keep it aside. Wash and cut the Mangalore cucumber into cubes and in a separate vessel cook them with little salt. Now grind coconut, coriander seeds, cumin seeds, turmeric powder, red chillies and tamarind into smooth paste by adding little water. Now adjust the salt and add if needed more. Tamper it with sliced friend onions, friend garlic cloves, mustard and curry leaves in ghee. Serve it with piping hot rice. Red pumpkin is one sweet vegetable available world wide. Famous for pumpkin carving on Halloween. Pumpkin pie, pumpkin kootu, roasted pumpkin seeds are few popular recipes. I am going to share my mom’s recipe of Koddel here. Koddel is popular recipe of Mangalore. Roast coriander, zeera, red chillies and coconut and along with turmeric and tamarind grind it into smooth paste adding little water to get the consistency. Now add this paste to boiled vegetable and add little water to make it gravy and boil it for 5-8 minutes and tamper with mustard and curry leaves. 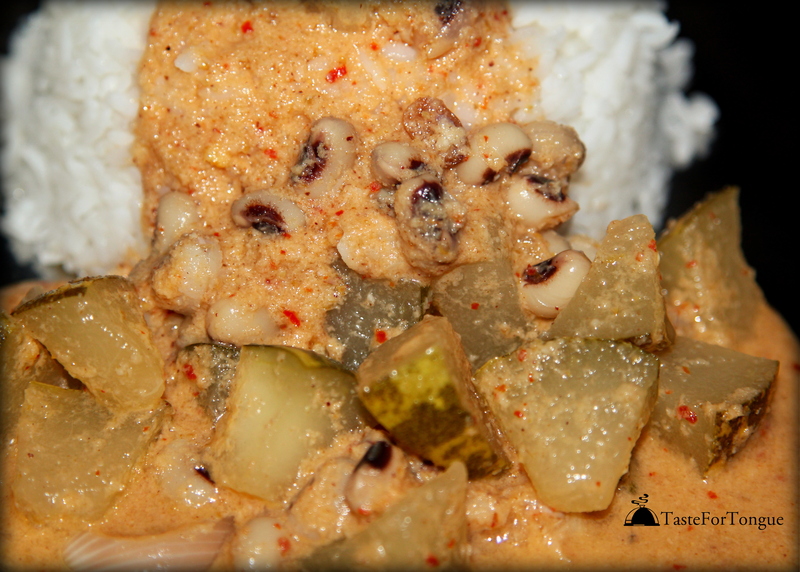 Red pumpkin curry is ready to serve with hot rice.